This Heavy Duty Brace is designed for the situations where privacy mesh is also installed. Up to four feet can be used per brace. 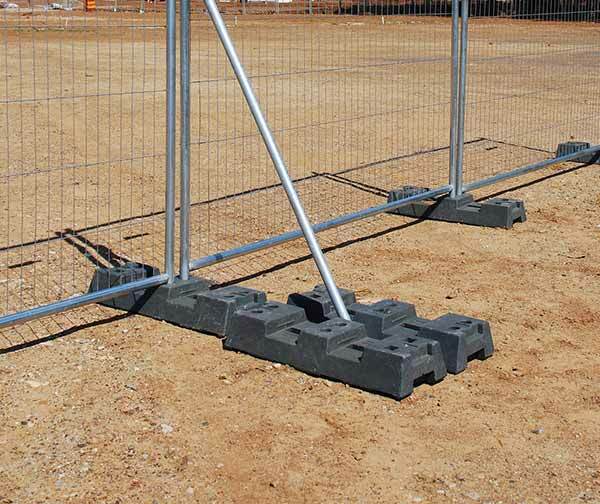 Our heavy duty brace is suitable for use in extremely harsh environments and designed to complement panels with privacy mesh. In windy areas, we recommend the use of at least one brace every four feet to ensure any temporary fences you’ve put up are as stable as possible. Our bracing system is extremely reliable and has been shown to be able to withstand even the most inclement of weather.